Suzanne Elledge Planning & Permitting Services, Inc.Orcutt Village Marketplace - Suzanne Elledge Planning & Permitting Services, Inc.
SEPPS represented the Orcutt Village Marketplace through the County review process and helped the project team achieve Planning Commission approval in Spring 2008. 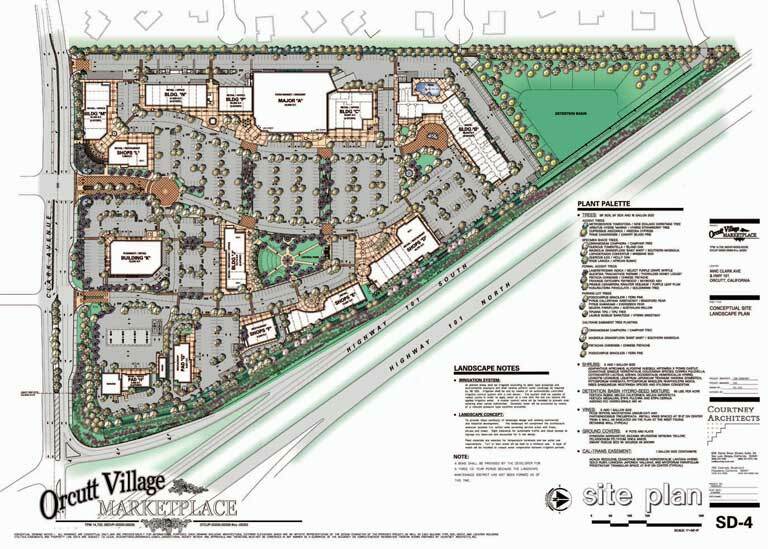 Located on the visually prominent “gateway” to Orcutt, the project entitlement includes a Development Plan and Subdivision Map for the construction of a 3-story 120-room hotel, grocery store, pharmacy, retail shops, sit-down restaurants, a fast food restaurant, gas station with convenience store and carwash, and 30 office condominium units. Rendering provided courtesy of Courtney Architects.